Newport Coast is home to over 50+ miles of incredible hiking trails, consisting of Newport Beach, Laguna Beach, and Irvine Canyon. These canyon lands are protected by parks and private foundations that help preserve the natural habit. From panoramic views of the Pacific Ocean to seeing wildlife, such as deer and rabbits, Newport Coast’s hiking trails are a delight to Southern Orange County hikers. Since there are a large amount of hiking trails in Newport canyon, the Go Hike It team will feature these trails in multiple posts. This post focuses on a 5-mile round-trip hike that provides enjoyable elements for hikers of all levels. 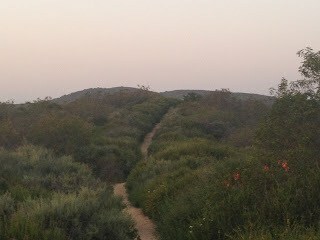 Newport Coast offers several hiking trails and are easily accessible from Ride Park Road, which offers free street parking. Newport Coast trails are often less crowded then the neighboring hiking trials of Laguna Canyon, because they are a little more removed from the beaten trail. Newport Coast trails feature scenic ocean overlooks that make for a perfect sunset hike. From easy fire trails to tough single track uphills, Newport Coast offers a trail to challenge everyone! 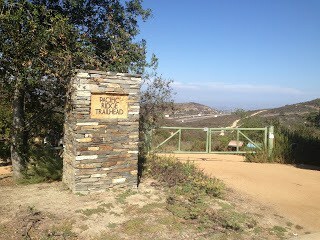 The Trail map highlights two areas for parking (street and lot) and the Pacific Ridge Trailhead. If you make a right when starting at the Pacific Ride Trailhead, you will hike the downhill section first. If you veer left at the trailhead, you will hike on a flatter trail for approximately 1.5 miles. Both directions are as equally challenging and scenic. The hike takes approximately 2-3 hours to enjoy, depending on your athletic experience. Year-Round: Newport Coast is a wonderful hike to enjoy all year-round! Since the trail is close to Crystal Cove, Laguna Beach, and Newport Beach, it’s easily accessible from several cities and the coastal communities offer savory post-hike restaurants, such as Bear Flag Fish Co (yum!). During the summer months, when the temperatures are warmer, the best time to hike Newport Coast is before noon. 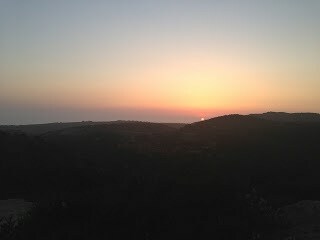 Sunset: If you are searching for a sunset hike, this is it! Although you can enjoy the Newport Coast Trails any time of the day, sunset provides an incredible time to enjoy for this hike with family and friends. 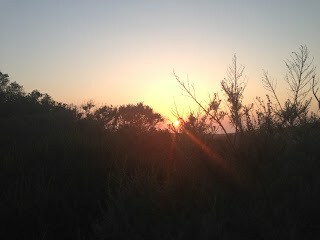 Especially during the summer months, when the daylight hours are longer, Newport Coast can be hiked until 8 pm! Barry-the-Bear: “I love this hike! Normally activities in Orange County can be expensive, but I love how Newport Coast offers free parking and it doesn’t require permits to hike. Sections of the trial were very challenging (tough incline), but the coast views made it worth it! Larry-the-Lion: “Newport’s trail variety made it worth it! From single-track to open fire roads, there was plenty of diversity on this hike! It felt like we burned a lot of calories, so we treated ourselves to Bear Flag at the end!